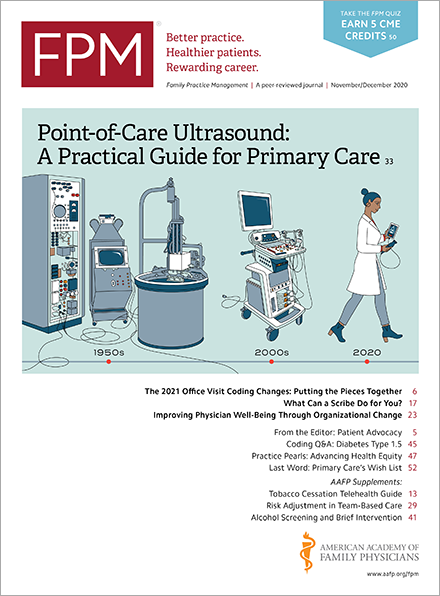 The 2014 Quality and Resource Use Reports (QRURs) are now available to all group practices and solo practitioners, including non-physician practitioners and those who participated in the Medicare Shared Savings Program, Pioneer Accountable Care Organization Model, or Comprehensive Primary Care Initiative in 2014. Groups and solo practitioners are identified in the QRURs by their taxpayer identification number (TIN). The 2014 QRURs show how most groups and solo practitioners performed in 2014 on the quality and cost measures used to calculate the 2016 value-based payment modifier (VBPM). However, those measures are not included for solo practitioners and groups that reported for the Physician Quality Reporting System (PQRS) in 2014 using the qualified clinical data registry or electronic health record (EHR) reporting option because the Centers for Medicare and Medicaid Services’ (CMS) was unable to determine the accuracy of those data. Likewise, practices participating in the Medicare Shared Savings Program, a Pioneer accountable care organization, or the Comprehensive Primary Care Initiative will only receive claims information in their QRURs. For groups with 10 or more eligible professionals (EPs) that are subject to the 2016 VBPM and bill under the group’s TIN, the QRUR also shows whether the VBPM will affect their payments under the Medicare Physician Fee Schedule (MPFS). For all other groups and solo practitioners, the QRUR is for informational purposes only and will not affect their payments under the MPFS in 2016. The VBPM will not affect groups of nine or fewer EPs and solo practitioners until 2017, based on 2015 quality and cost measures. Authorized representatives of group practices and solo practitioners can access the 2014 QRURs on the CMS Enterprise Portal(portal.cms.gov) using an Enterprise Identify Data Management (EIDM) account with the correct role. For more information on how to access the 2014 Annual QRURs, visit “How to Obtain a QRUR”(www.cms.gov) on the CMS web site. On a related note, CMS on Sept. 11 began notifying individual EPs and group practices that did not satisfactorily report 2014 PQRS quality measures that they will see a 2 percent cut in all of their 2016 MPFS payments. Practices that are not subject to this adjustment will not receive notification. The 2016 PQRS payment adjustment letter sent to individual EPs includes a TIN/National Provider Identifier (NPI) combination; the adjustment applies only to the individual EP associated with the TIN/NPI noted within the letter and not the clinic or facility. The 2016 PQRS payment adjustment letters sent to PQRS group practices includes a TIN only and applies to all EPs who have reassigned their billing rights to the TIN. Please check your letter in the upper left hand corner to determine if it contains your TIN or TIN/NPI. Note that the PQRS payment adjustment is separate from any additional adjustment that may be applied under the VBPM and to individual EPs who are physicians under the Medicare EHR Incentive Program. If your QRUR indicates you will receive a payment reduction under VBPM in 2016 or if you’ve received a payment adjustment letter because of your 2014 PQRS performance, you have options. First, you can submit an informal review request. You must submit all informal review requests by Nov. 9 through a web-based tool, the Quality Reporting Communication Support Page(www.qualitynet.org). You can find information on how to file an informal review in CMS’ reference guide(www.cms.gov). CMS will email a final decision within 90 days to those requesting an informal review. All CMS informal review decisions are final, and there is no further review or appeal. • Additional information about the 2014 QRURs and how to request an informal review is available on the 2014 QRUR website(www.cms.gov) and through the QRUR Help Desk at pvhelpdesk@cms.hhs.gov or 888-734-6433 (select option 3). • For details regarding the 2016 PQRS payment adjustment, please see the Payment Adjustment Information(www.cms.gov) page of the PQRS website(www.cms.gov) and click on the payment adjustment toolkit. • For information regarding other Medicare physician quality programs that apply payment adjustments, please see the Value-Based Payment Modifier website(www.cms.gov) and/or the EHR Incentive Program website(www.cms.gov). • For additional questions, please contact the QualityNet Help Desk at 1-866-288-8912 (TTY 1-877-715-6222) or via qnetsupport@hcqis.org. They are available from 7:00 a.m. to 7:00 p.m. Central Time Monday through Friday. To avoid security violations, do not include personal identifying information, such as Social Security Number or Taxpayer Identification Number (TIN), in e-mail inquiries to the QualityNet Help Desk. Also, look for an article on QRURs in the November/December issue of Family Practice Management.